Portable meals are not necessarily unique to Japanese culture, but to Japanese people, Bento is more than just a portable meal. It is, rather, an authentic and distinct food culture. People look forward to the act of opening the box before eating. Some even call it "a jewel box full of the family's heart". Bento comes in a variety of forms such as Bento lunch at schools and work places, the always popular Makunouchi Bento, Bentos sold on trains and airplanes, and seasonal Bentos for enjoying cherry blossoms and fall foliage. Bento plays an important role in showcasing people's memories. Originally, Bento was meant simply to fill one’s stomach, but it has evolved into an integration of flavors, presentation, nutritional balance, convenience and functionality over the years. It is not only Japanese people who enjoy Bento today. 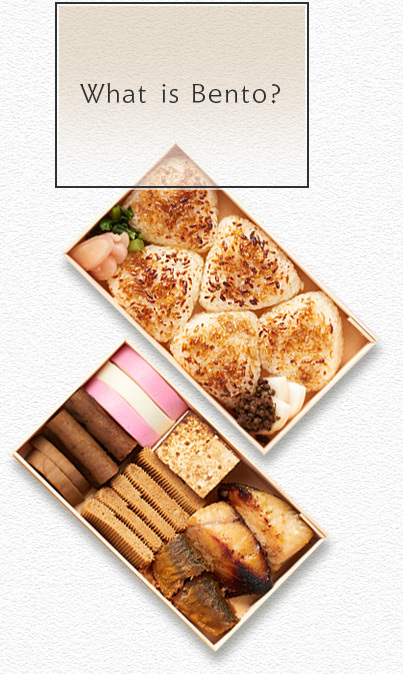 Japanese Bento has become a trend in N.Y. and Paris recently and Bento culture is expanding throughout the world. Despite Bento's popularity around the world, enjoying food used to be a privilege available only to certain people. Recipe and representation technique were family secrets among Shogun families and the families of feudal lords. 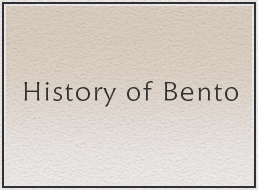 Bento evolved through the ages before becoming what it is today. Here, our library introduces the history and beauty of Bento culture, in which Bento develops from a pure portable food to an authentic and distinct food culture. When was the word "Bento" invented? 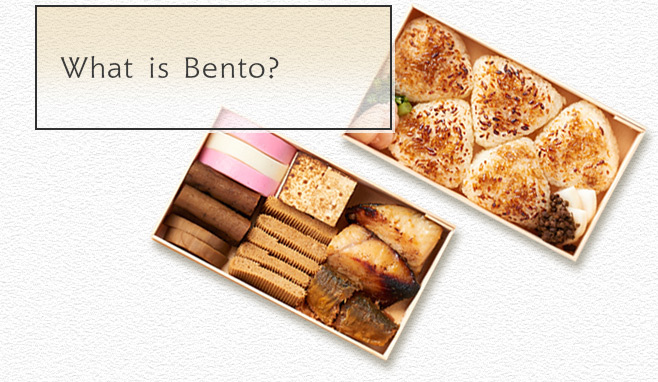 In a Japanese-Portuguese dictionary published in the beginning of Edo period already listed the word "Bento". Some say there was another term that meant the same as Bento even before the Edo period, but as far as existing documentation goes, this Japanese-Portuguese dictionary is the earliest record available. Let's look into the roots of Bento.